Rainbow Zinc yellow Primer is a multipurpose primer. 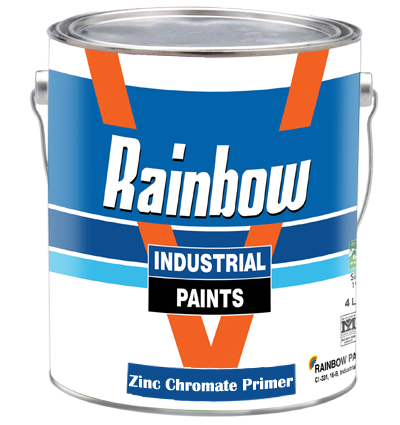 Rainbow Zinc Chromate Yellow Primer is formulated as base coat for aluminum and galvanized surfaces it may also be used on clean, properly prepared steel Surfaces. All Dust, Dirt and Rust may be removed with Wire Brush and paint should be applied Immediately after cleaning. Remove all loose and flaking paint film with emery paper, and paint. Composition: Based on high quality alkyd combined with Zinc chromate pigment and high quality extenders. Covering Capacity: 16-18 Sq Meters /Ltrs./Coat.